Does the flurry of snow this week have you dreaming of pineapples, rays of sunshine and the blissful feeling of warm sand in between your toes? I’m guessing that the answer is a resounding ‘yes’. Case in point: A wee, yet loud and colourful, mini pineapple picked up as a souvenir on an amazing adventure in Hawaii a few years ago. I’m not really one for collecting knick-knacks anymore (more on that here), but my hubby and I started a little tradition where we skip the tacky souvenir t-shirts and collectible spoons and instead, seek out a unique (and meaningful) Christmas tree ornament to bring home from our travels. 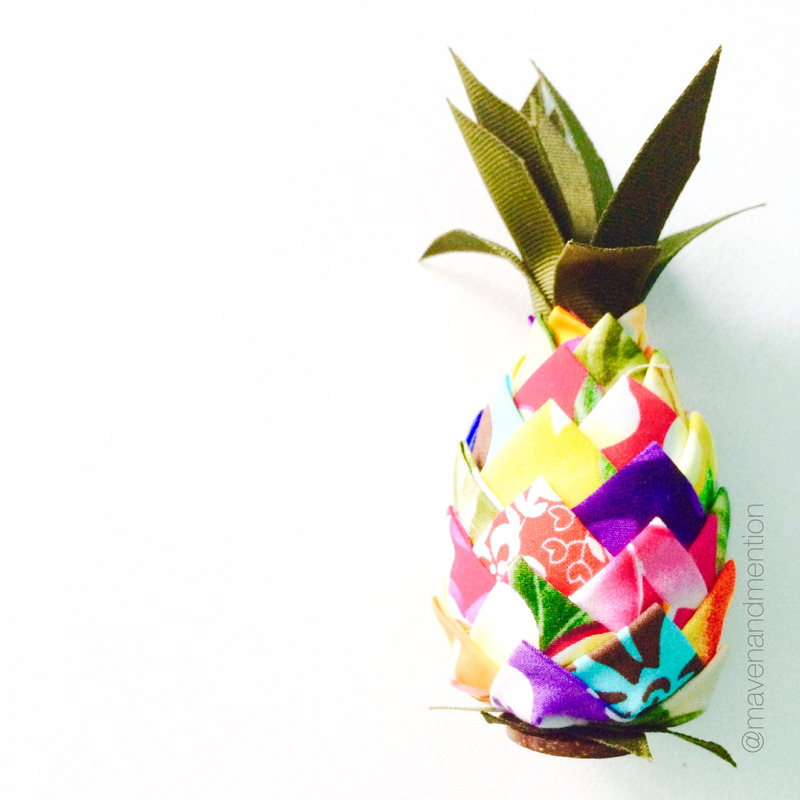 This pineapple ornament is a pocket-sized patchwork of mismatched fabric from a local artisan shop in Kauai. It’s charming. It’s quirky. It’s whimsical. It’s nostalgic. And it reminds me of sun, sand and sea – every time I look at it. It got me thinking about the power of the visual experience in storytelling. How images convey context and emotion. How colours, shapes, gestures, words and placement all weave together to shape a storytelling moment. How visuals communicate meaning and draw a connection to places you’ve been or spark curiosity in new areas to explore. The same applies to the digital experience and content marketing. While lingo, slang, voice, tone, grammar and punctuation all play a part in persuasive copywriting, the images you select to accompany the written text – and visually represent the concept and call-to-action in a bite-sized nugget – are just as key. All of these elements come together to paint a picture, add a dose of nostalgia, inspire new ideas, incite action or create a memorable brand experience – one tweet, one insta, one post, one snap, one story at a time. On a highly visual platform like Instagram, you know the content is top-notch when you stop scrolling through the endless feed of photos of the day to stop and stare and soak it all in. A fantastic example of digital storytelling is Calgary-based etsy maker @dixieandtwine’s Instagram feed. It’s an Instagram palette chock-full of gorgeous snapshots featuring bright hues, cheerful party décor and heaps of glitter and sparkle – showcasing the local brand’s fun product line as well as colour inspo along the way. Photo captions are friendly, playful and informative – and they do their job well by highlighting a clear call-to-action and staying true to Dixie and Twine’s brand voice: modern, rad and a little bit retro. This Instagram feed is definitely an event planner’s dream! It’s one of my favourite Instagram feeds to follow and get my (event) nerd on. Looking to craft some compelling content to invite your customers along on your storytelling journey? Let's chat.